On the first day of the Battle of Gettysburg in July 1863, Union artillery lieutenant Bayard Wilkeson fell while bravely spurring his men to action. 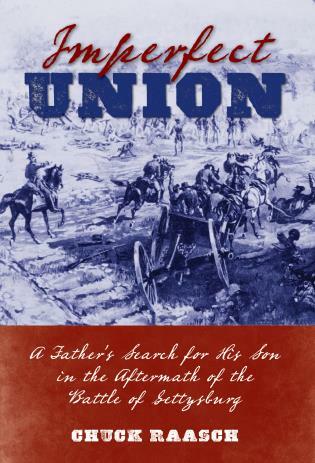 His father, Sam, a New York Times correspondent, was already on his way to Gettysburg when he learned of his son’s wounding but had to wait until the guns went silent before seeking out his son, who had died at the town’s poorhouse. Sitting next to his dead boy, Sam Wilkeson then wrote one of the greatest battlefield dispatches in American history. Chuck Raasch is the chief Washington correspondent for the St. Louis Post Dispatch. He was one of the five original long-form writers for USA Today when it began in 1982 and a national correspondent for Gannett News Service for twenty-five years. A graduate of South Dakota State University, Raasch completed a journalism fellowship at Stanford and is a member of the National Press Club and the Gridiron Club. He lives in the Washington, D.C., metro area.